The precarious situation with water and soil pollution in the area of tannery clusters along the Palar River prompted the state environmental authorities to press for adherence to TDS discharge limits as well as to impose an approach not practiced in the tanning industry: a Zero Liquid Discharge (ZLD) concept. Essentially, the ZLD systems concentrate dissolved solids by Reverse Osmosis (RO) and some kind of Multi Effect Evaporation (MEE) until only damp solid waste remains. Solid waste is disposed and nearly all water is reclaimed and reused. 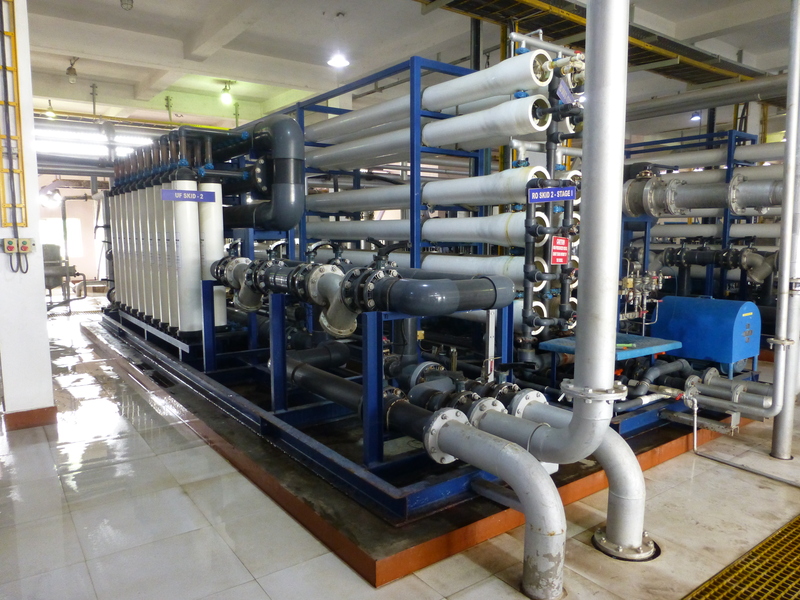 Accordingly, some of the existing Common Effluent Treatment Plants (CETPs) have been supplemented by RO and MEE, together with auxiliary steps (tertiary treatment, water softening etc.). The analysis investigates and relates raw and equalized effluent inflows, RO feed, permeate and reject, evaporator feed and condensate and the yield of recovered, reusable water. Since the energy costs are critical for the viability of the entire concept, data about energy consumption (thermal, electrical main and Diesel) at key stages (RO, multistage evaporation) are consolidated, analysed and correlated. Additional energy needs and costs are compared with those for conventional (CETP) treatment and estimates made of the carbon footprint increase caused by the ZLD operations.